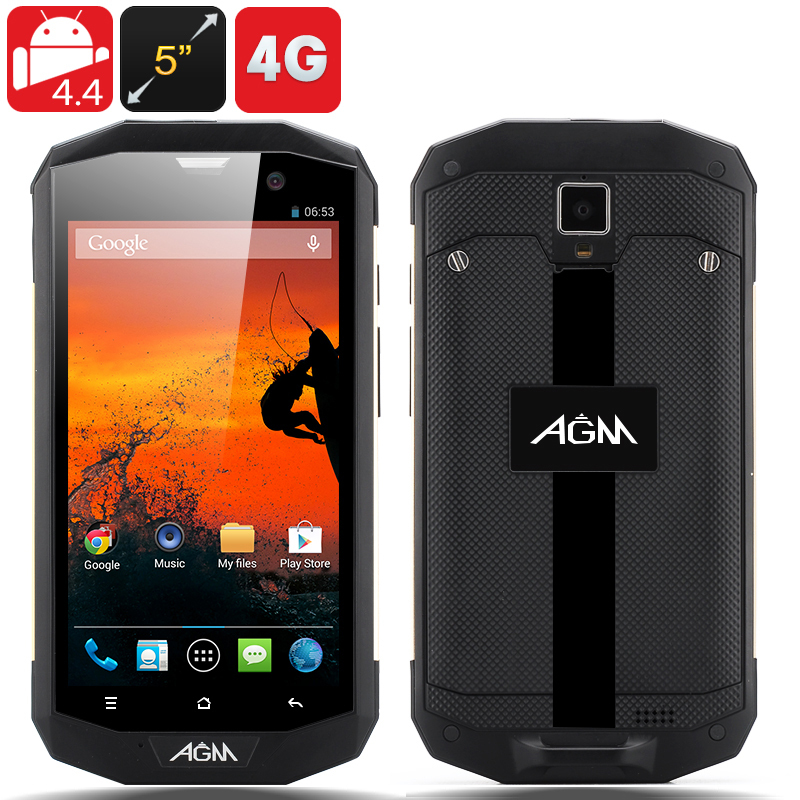 Successfully Added AGM 5S Rugged Phone - 4G, IP67 Rating, 5 Inch 1280x720 Display, Android 4.4 OS, MSM8926 1.2GHz Quad Core CPU (Golden) to your Shopping Cart. 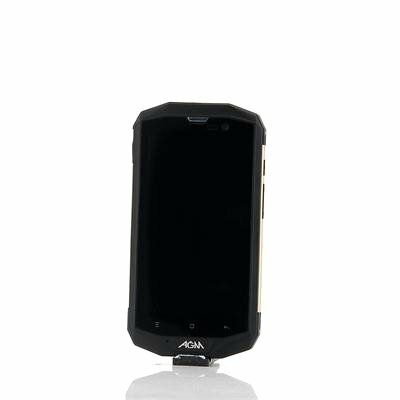 The AGM 5S Rugged Phone has an IP67 Rating, a 5 Inch 1280x720 Display, an Android 4.4 operating system as well as a MSM8926 1.2GHz Quad Core CPU. Adapt, grueling and masculine, there are three terms you can use to describe the 5S rugged smartphone from AGM. This 5 inch rugged smartphone has a strong and very protective exterior that has earned it an IP67 rating; therefore it can survive getting wet or playing in the dirt. The type of person who would really benefit from this phone is someone that works in a harsh environment or is a bit clumsy. It may be a tough phone, but the AGM 5S has not cut corners with its intelligence as it comes with the stock version of Android 4.4 pre-installed. Android has introduced “OK Google”, which is competition for Apple’s Siri, so now you have your own personal assistant to help you with Google Now. “OK Goole” can now control several functions by voice on Android 4.4 running devices plus some apps compatible with it such as messaging, email clients and music player. Choose the way you want to communicate as there a slot to support a micro SIM card that works on 2G GSM 850/900/1800/1900MHz, 3G WCDMA 900/2100MHz and 4G FDD-LTE 800/2100/2600MHz ‍bandwidths. Other features on this tough waterproof phone is Bluetooth, Wi-Fi connectivity, a built in front camera, built in rear camera in addition to 8GB of internal memory than can be expanded via a micro SD card. Powering all this intelligence and capabilities is a MSM8926 1.2GHz Quad Core chipset so you can multitask while standing in a lake and this rugged phone will still deliver. This product is in stock now, we guarantee next working day shipping and offer a 12 months warranty on all our products. Brought to you by the leader in electronic devices and wholesale cell phones, Chinavasion.